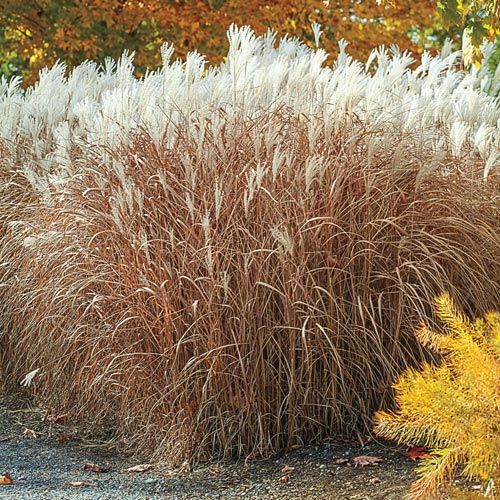 Flame Grass | Miscanthus purpurescens | Michigan Bulb Co. 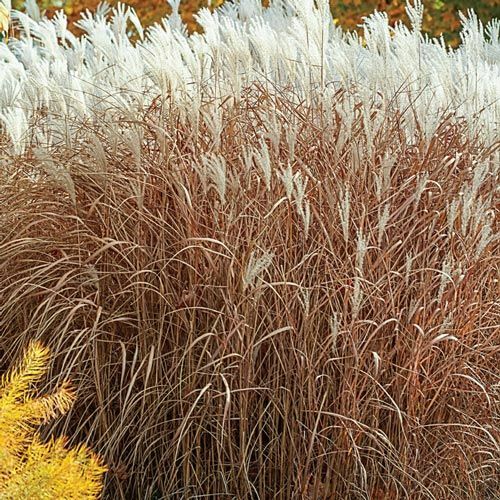 Adding ornamental grasses to the landscape gives it a more dynamic look and architectural appeal. 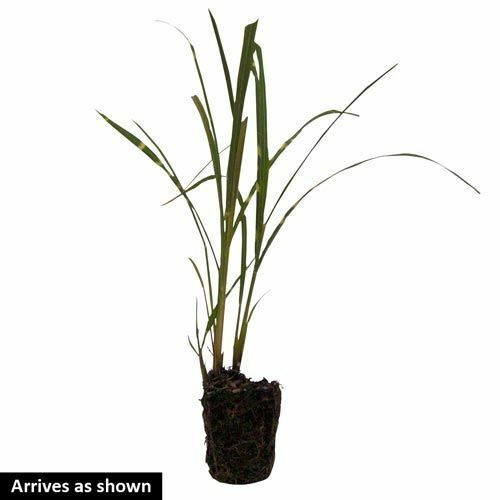 Treat your property to a visual upgrade with Flame Grass. In late summer, its large swathes of gracefully arching blades appear green and are gently tinged with purple. As autumn approaches, it turns red for a completely different look for the upcoming season. Flame Grass gives a charming, delicate look to naturalized areas, and makes an ideal privacy screen when planted in groups. Silky panicles of silvery beige emerge in late summer. Foliage TypeFlat, arching thin blades. Green during the growing season, turning red in fall. Soil RequirementsMoist, well drained organically rich. Additional InformationTurns reddish hues as summer progresses, orange-red in fall and burgundy in winter. Planting InstructionsSet at the same level it is growing at in the container. Firm well and water in thoroughly. Do not plant in a site that experiences standing water in winter.